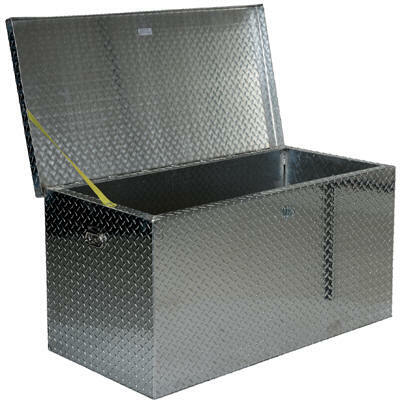 Secure your tools and other belongings from theft with our Portable Tool Boxes. Safety double hinged hasp for padlock securing, accepts padlocks with a shackle diameter no greater than 7/16".Padlock is not included. 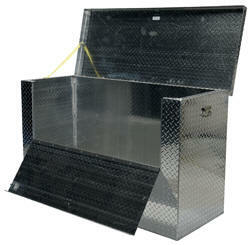 Constructed of 0.08" thick diamond tread plate material. 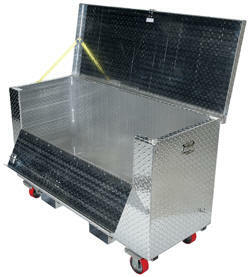 Features two sturdy handles for transporting. Uniform capacity is 2,500 lbs. Fork pocket centers are 24", except for APTS-2436 models which are 12".